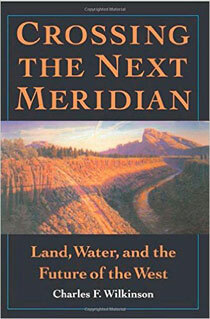 In Crossing the Next Meridian, Charles F. Wilkinson, an expert on federal public lands, Native American issues, and the West's arcane water laws explains some of the core problems facing the American West now and in the years to come. He examines the outmoded ideas that pervade land use and resource allocation and argues that significant reform of Western law is needed to combat desertification and environmental decline, and to heal splintered communities. Interweaving legal history with examples of present-day consequences of the laws, both intended and unintended, Wilkinson traces the origins and development of the laws and regulations that govern mining, ranching, forestry, and water use. He relates stories of Westerners who face these issues on a day-to-day basis, and discusses what can and should be done to bring government policies in line with the reality of twentieth-century American life. "I know of no book about the structure, attitudes, history, and future of Western Society that does so much, so clearly, and so fairly, as this one." Chapter 5. "The River Was Crowded with Salmon"